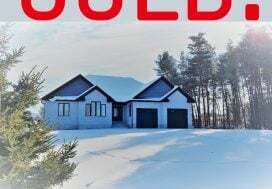 Residential sales activity in the geographical area covered by the REALTORS® Association of Grey Bruce Owen Sound totaled 261 units in July 2018. This was down 21.6% from a strong July in 2017. On a year-to-date basis, home sales totalled 1,716 units over the first seven months of the year. This was a decrease of 18.2% from the record for the record for the same period in 2017. 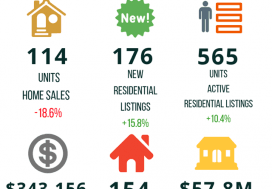 New residential listings in the region numbered 367 units in July 2018. 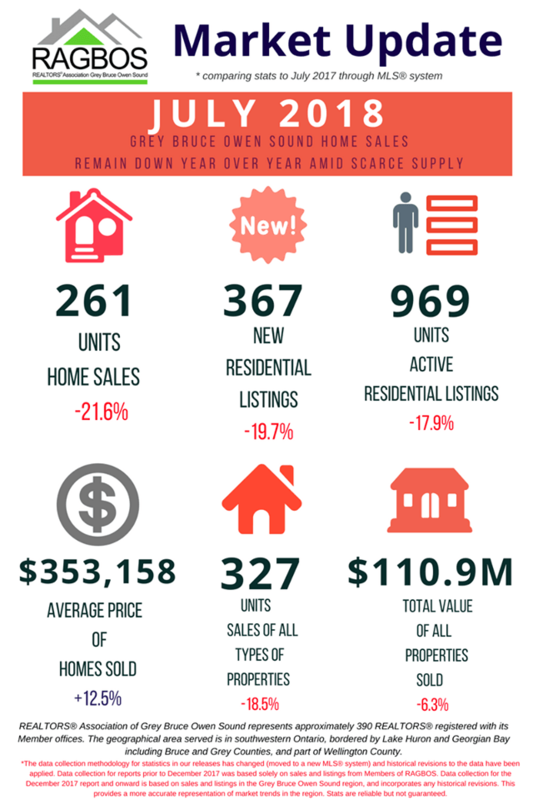 This was a decrease of 19.7% on a year-over-year basis and was the lowest number of new listings to hit the market since the early 1990’s. Overall supply also stands at record lows. 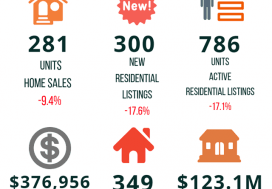 Active residential listings numbered 969 units at the end of July. This was a decrease of 17.9% from the end of July 2017. Months of inventory numbered 3.7 at the end of July 2018, little changed from the 3.5 months recorded at the end of July 2017 and well below the long-run average of 9.8 months for this time of year. The number of months of inventory is the number of months it would take to sell current inventories at the current rate of sales activity. The dollar value of all home sales in July 2018 was $92.2 million, decreasing by 11.8% from the record for the month seen in 2017. Sales of all property types numbered 327 units in July 2018. This was a decrease of 18.5%from July 2017. The total value of all properties sold was $110.9 million, down 6.3% from July 2017.